Please make sure read the following articles – Understanding Amazon Product Listings and Understanding eBay Items. So now that you understand Amazon listings and eBay items, let’s figure out what is the Inventory Link on drop2amz. Basically saying, an inventory link is a link between a set of Amazon listings and a set of eBay items. 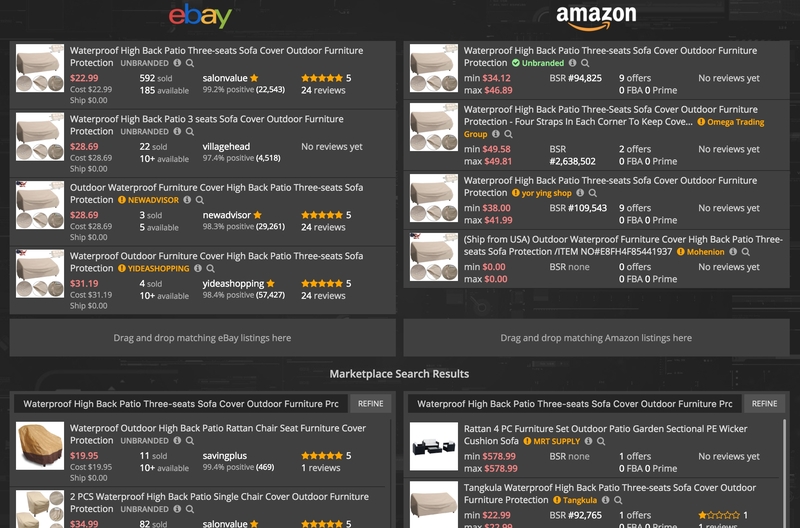 When you run a search for some product using the drop2amz Search tool, you get two panels with search results (from eBay and Amazon) where you have to drag & drop corresponding items to the top and this way build the list of same items on eBay and on Amazon. This means you don’t need to keep an eye on your Amazon listings and offers anymore! We had this issue ourselves when we just started dropshipping manually – every morning we had to review a hundred of items manually and then go to Amazon Seller Central and do all of the updates manually, this took us eternity! That’s how we came up with the drop2amz idea. We can now manage dozens of thousands of listings easily – we don’t even care about them as soon as we add an inventory link, drop2amz does it for us. That’s why your primary goal is to just keep adding more and more inventory links and focus on customer service, not time-consuming monitoring. 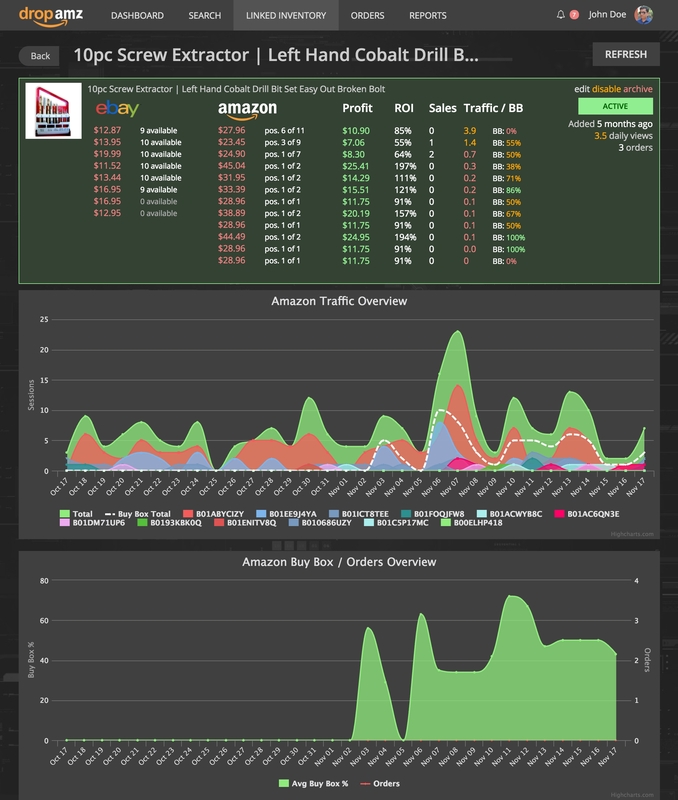 Again, with drop2amz you don’t have to monitor your Amazon offers anymore – the system does that for you!